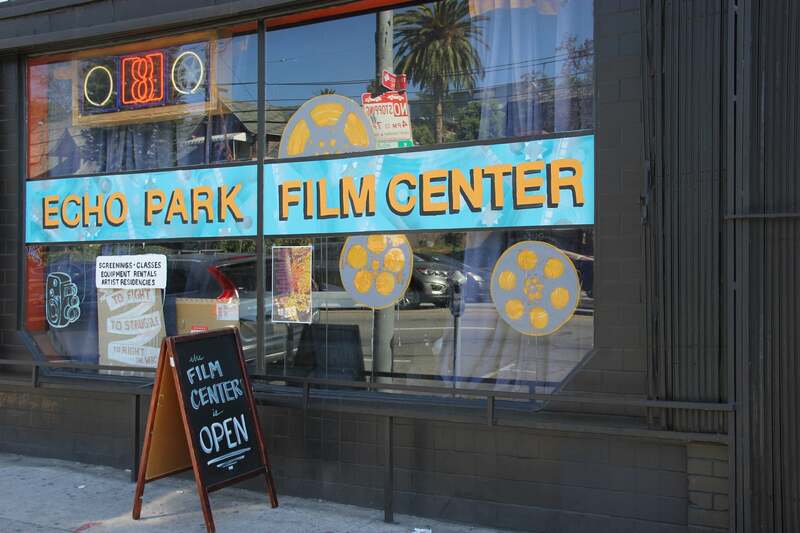 Echo Park Film Center, the brainchild of cultural activists and filmmakers extraordinaire Lisa Marr and Paolo Davanzo, is a community-based outpost providing technical and critical film education to the youth of Los Angeles’ diverse Echo Park district. The HFPA supports filmmaking workshops at the Film Center, an annual program which provides free screenings and multi-week classes on creative and technical skills, teaching the lost art of actual 16 mm filmmaking to young people. The center serves about 150 students ages from 12 to 19 mainly from ethnically diverse and low-income backgrounds. In the small storefront which serves as the EPFC classroom and film lab, students learn to shoot, process, edit and screen 16mm and super-8 short films. The Center seeks to draw on the area’s rich film heritage (Echo Park, then known as Edendale, was the base and location for many film pioneers of the silent era). Students build toward the production of collective film diaries, titled “The Sounds We See”, documenting their subjective neighborhood experience through moving images and music. EPFC practices community outreach in an underserved community which exemplifies the kind of education through a love of film which the HFPA is committed to supporting.